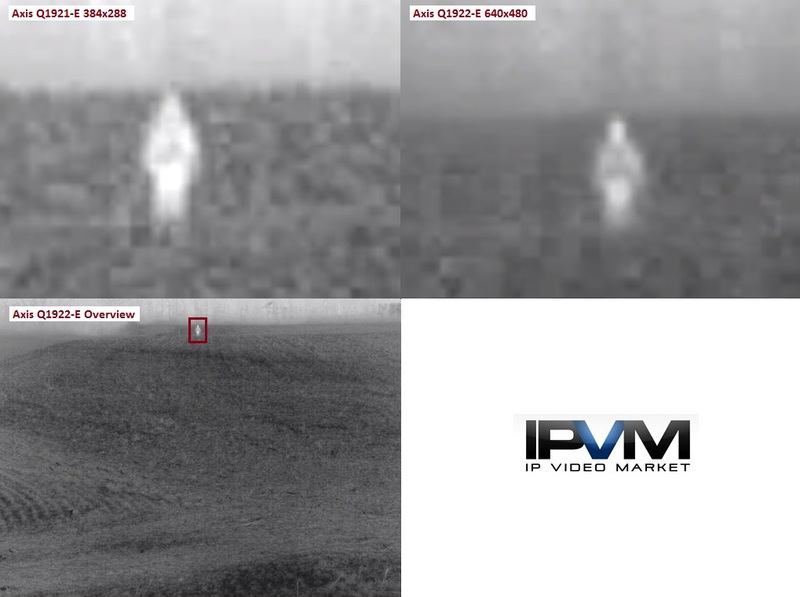 Even for thermal cameras, resolution is a critical differentiator. While no MP thermal network cameras exist, users must choose between the equivalent of CIF and 4CIF cameras or roughly double the resolution. Doing so is important because the cost increase between the two is massive, essentially doubling the price and adding thousands of dollars per camera. Is it worth it for the higher resolution, and if so, what situations? To better understand the performance differences between these two resolution levels we tested the two options from three manufacturers - Axis, FLIR and Pelco - in very dark conditions as shown in the image above. 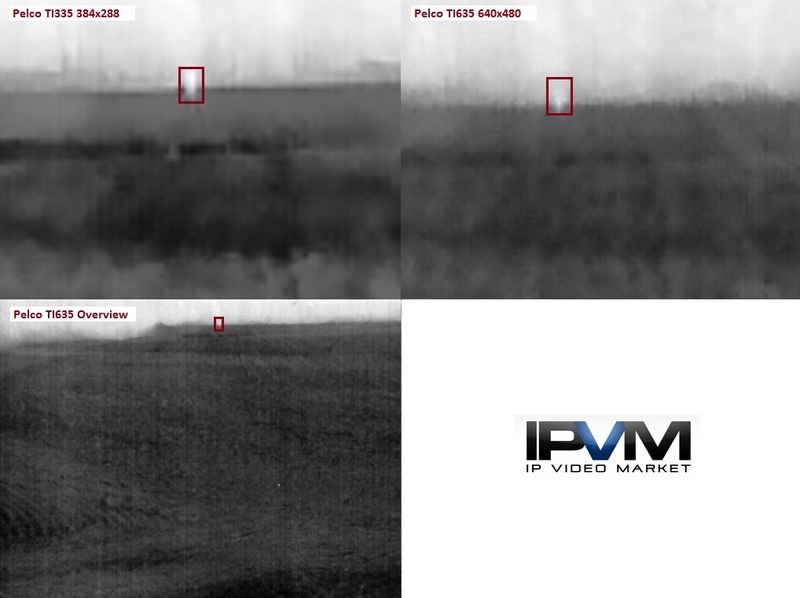 The increase in resolution did not deliver material tangible benefits and, in some cases, the lower resolution version, delivered a higher contrast, easier to discern image than the higher resolution one. Given how much more expensive the 4CIF versions are, we recommend extreme caution on purchasing them unless you can validate material advantages in your environments. One clear benefit is in close ranges, i.e., narrow Field of Views. For instance, of the comparisons, the one with the narrowest FoV (80 feet) showed the greatest increase of details for the 640 cameras. 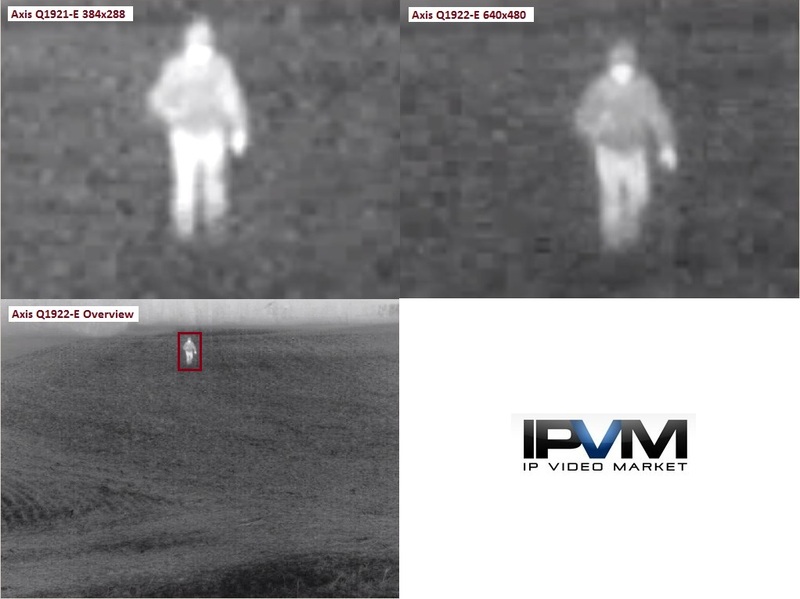 However, using thermal for such applications is fairly niche and irrelevant to the long range, perimeter, exterior focus common in surveillance applications. One other potential benefit of 4CIF is distances beyond 2000 feet. 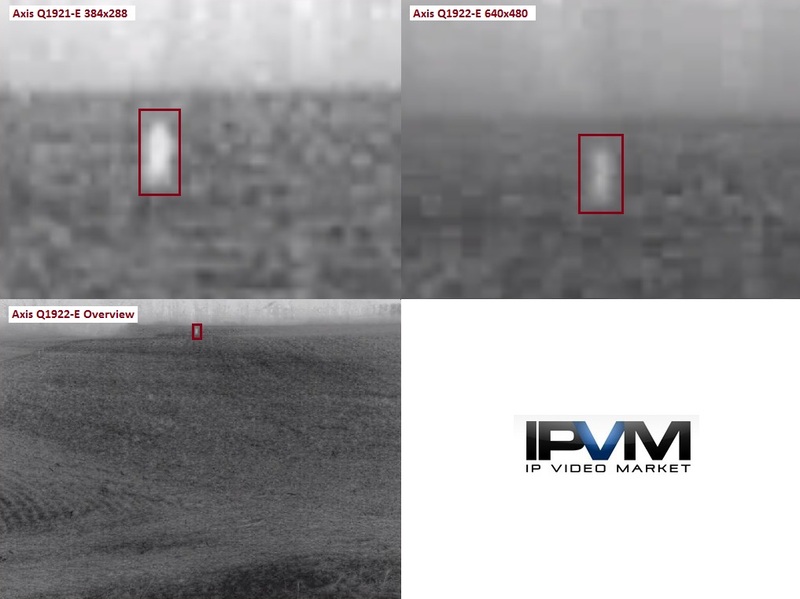 While most 'CIF' thermal camera's specified range is ~2000 feet, 4CIF typically are rated for ~3500 feet. However, in our tests at nearly 2000 feet, both versions looked to be fairly close to the edge of usability. 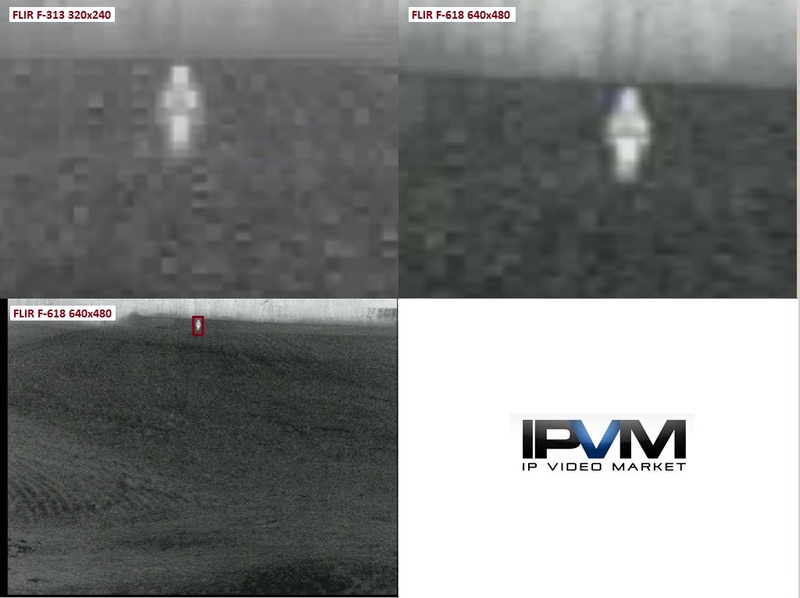 If you are monitoring farther than 2000 feet with a 500+ foot FoV, it is possible than 4CIF provides some benefits. For this test, each manufacturer's cameras used similar exposure zones, gain, and contrast settings wherever possible, to provide as much standardization as possible. Axis and FLIR allowed for custom exposure settings, while Pelco's cameras do not, instead operating in fully automatic mode. Despite using the same focal length lens, each manufacturer's 320x240 or 384x288 camera has a slightly different field of view than its 640x480 model, due to differences in sensor size. We have noted this in each manufacturer's section. Though the lower-resolution models have slightly narrower fields of view, 640x480 models provide nearly double the horizontal resolution across a slightly wider area. We tested two Axis cameas, a 384x288 resolution Q1921-E (~$4,300 online) and a 640x480 Q1922-E (~$9,000 online). Both of these cameras use 35mm lenses, with 16 and 18-degree focal lengths respectively. Axis claims a maximum human detection range of 2,298' with the Q1921 and 3,444' with the Q1922, well beyond the ranges we tested. 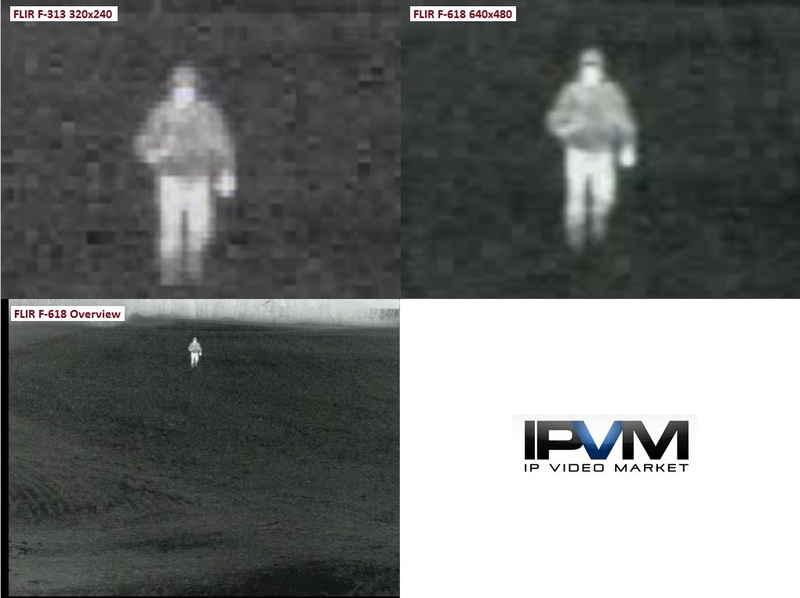 Users may download a 30-second video clip from both of these cameras themselves. From FLIR's F Series, we tested an F-313 (320x240 imager, $5,500 MSRP) and an F-618 (640x480, $14,560 MSRP), with 13 and 18-degree FOVs, respectively. 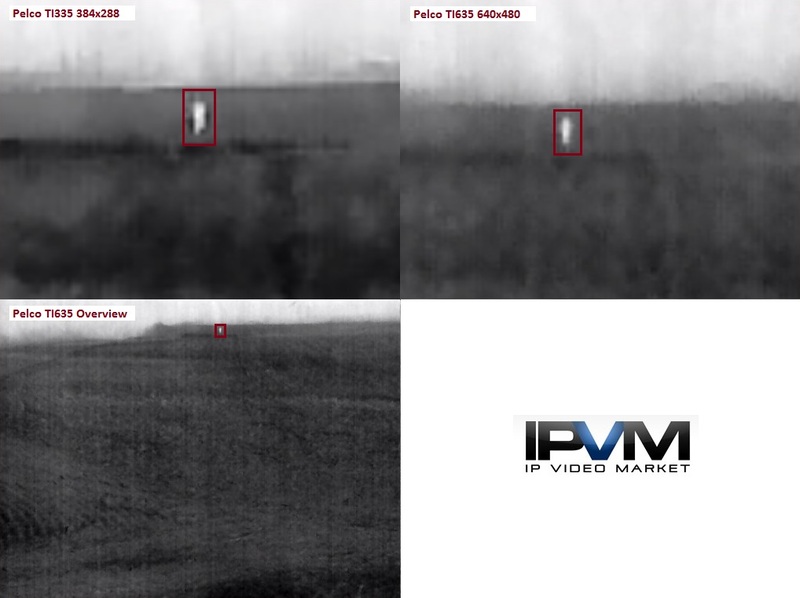 FLIR claims detection at 2,559' with the F-313 and 3,740' using the F-618. 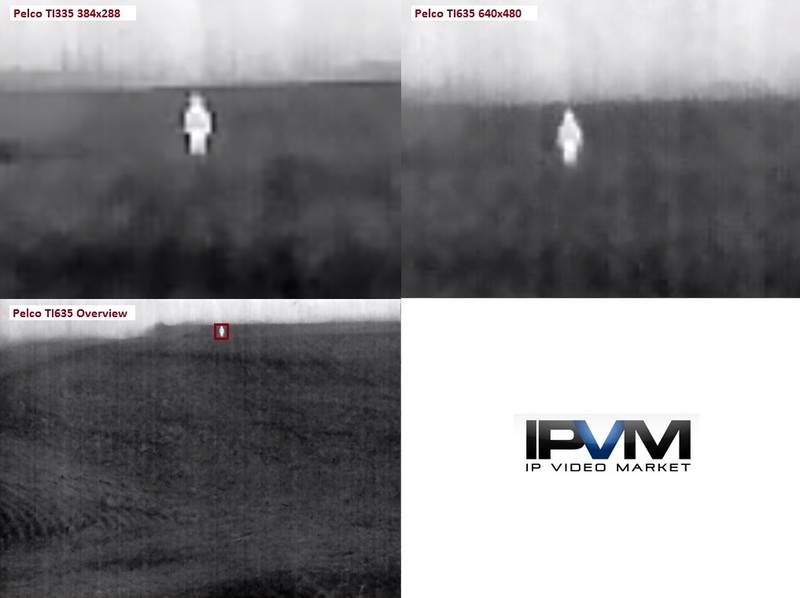 Users wishing to see video from these cameras themselves may download a 30-second clip. 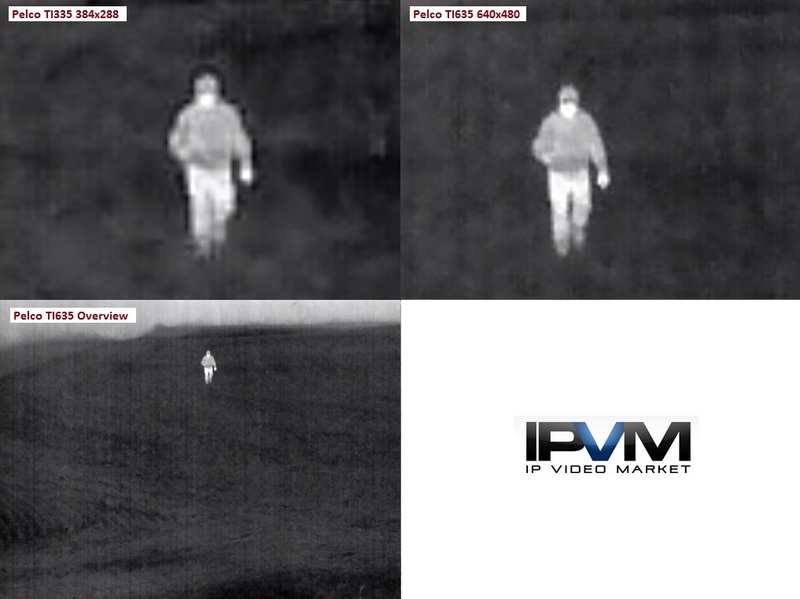 Finally, we tested two Pelco Sarix TI thermal cameras, both with 35mm lenses, the TI335 (384x288, ~$5,000 online) and the TI635 (640x480, ~$10,000 online). Like Axis, this results in 16 and 18-degree fields of view, respectively. A 30-second clip of both Pelco cameras is available for review. 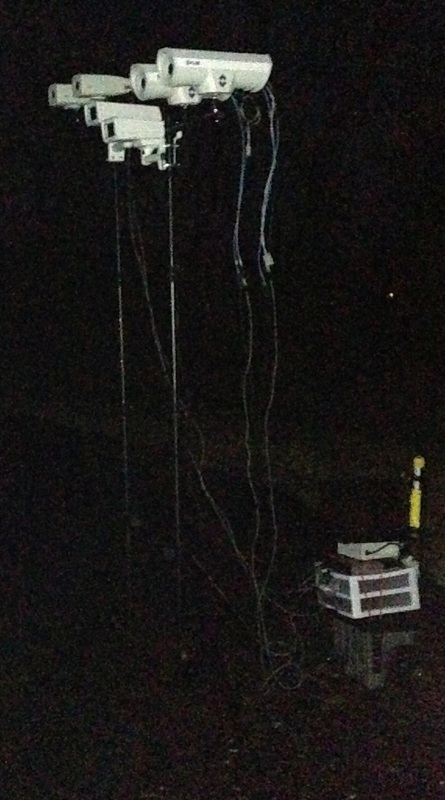 Detection range is specified at 2,493' using the TI335 and 3,709' using the TI635.